April 15, 2011 (La Mesa) - The Dollar-Wi$e Divas column is changing to the Dollar-Wi$e Diva. Dawn Clement will no longer be a writer for the column. She and her husband bought a historic 1911 home; renovating it plus caring for three children is taking all her time. She sends you a fond farewell. Dawn, thank you for your ideas and writing contribution to the column; I appreciate your support! So I’ll continue to write this twice a month column solo, with ideas for mindful spending to help you save money. Spring is here and as the weather gets warmer, it is time to think about updating your wardrobe. Do you want new clothes but don’t have lots of extra money in your budget? Would you like to have new clothes and clear your closet of clothing you no longer wear? It is easy and fun to do: hold a clothing exchange! We’ve also got tips on where to find prom dresses free or at a discount starting this weekend, as well as how to donate clothing items to help women and girls in need. This is how a clothing exchange works: you contact friends and invite them to attend. Explain the simple rules; each person brings clothing, purses, shoes, accessories or any other items no longer wanted. The items must be either brand-new with tags still attached or in good shape. Clothes must be freshly washed or dry cleaned and either on clothes hangers or carefully folded. For each item a guest brings, she (or he) can select an item. The organizer would select a convenient date, time, and location. It can be a break room or conference room at work during lunchtime or right after work – and getting the bosses’ approval of the event is important if it’s at a work site. If it is at work, post a sign or send an e-mail in advance to invite people to attend. On the other hand, the clothing exchange can also be at the organizer’s home. 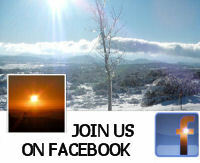 You can send invitations by mail, e-mail, or to your Facebook friends. Two hours or less should be plenty of time for the event. The organizer decides on whether to provide all the food or have a potluck. Non-messy finger foods work really well as it keeps the cost down and lessens the workload for the hostess. On the agreed-upon date, each guest brings any clothing, purses, shoes, ties or shirts, or accessories that she or he wants to exchange. The hostess or host gets first pick of any item as payment for all the work. Other attendees draw numbers to see who goes next and then each one selects an item. Everyone takes several turns and when all are happy with their selections, and then the host takes responsibility for donating the remaining items charity and ensures that everyone that donated gets a charity receipt. Women may wish to have a party just for female friends; men may want to have a male-only event to assure that everyone gets items they can use. Including accessories, such as scarves and jewelry, assures that everyone will find something to fit. It is simple, fun and saves you money on clothing. Would you get a completely new wardrobe from a clothing exchange? Probably not, but you might get enough new pieces so that you would only need to buy one or two new items to have several different outfits to wear for spring and summer. According to Answers.com, “The average American woman has an annual clothing budget of $1,729.” While this idea probably won’t save you that much, it can help you get a good start on a Spring wardrobe and best of all cost you nothing while giving you a less cluttered closet. Below are a list of charities that accept clothing and accessories to help less fortunate people in our community. Ask for a receipt when you drop the donation off. Rachel’s House, a shelter for homeless women accepted casual and some work clothing, for more info contact http://www.ccdsd.org/homelesswomen.php. To donate business clothing: http://www.dressforsuccess.org/affiliate.aspx?pageid=1&sisid=62. To have clothing picked up from your home or business contact Disabled American Veterans at (800) 894-2486. Prom time is almost here…you can either donate your fancy dresses or secure a beautiful dress FREE! If you have fancy dresses, shoes or accessories you would like to donate or know of any girl that would like to attend a prom but doesn’t have a beautiful dress, good news! There is help available and it’s free. The El Cajon Library, 201 E. Douglas Ave. is hosting a Gown Giveaway this Saturday, April 16th from 1 pm to 4pm. This is for local San Diego County teens, grades 9 through 12, and is on a first-come first-serve basis. To sign up to donate or participate, please call 619-588-3718. 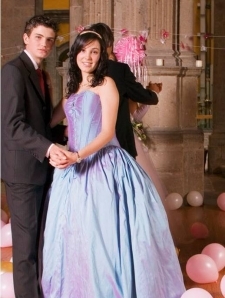 You can also find a gorgeous selection of stylish but gently-worn prom dresses, as well as gowns for other formal occasions, with discount prices at Act II, a resale shop in La Mesa. For details, see www.myactii.com.